I reviewed this Caviar set earlier as well but now I have come up with some new designs which I wanted to share with you. 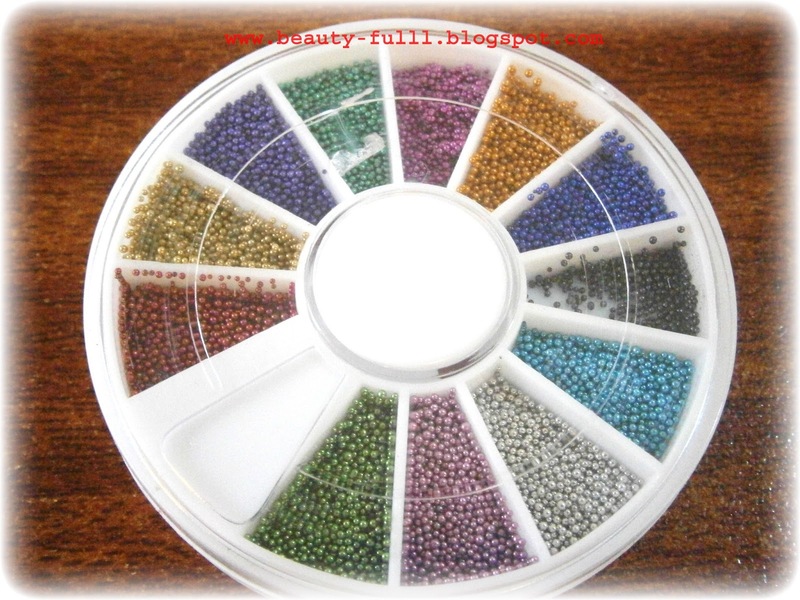 I got this 12 Color Caviar Manicure set from Born Pretty Store for review purpose. 1-Lay down a newspaper or place a bowl so that the excess beads that fall can be reused. 2-Paint your nails in a matching color to the steel balls that you decided to pick.Wait till it dries completely. 3-Now re-apply the same base color and while it is still wet sprinkle some beads over your nail.I used multi color beads for this look. 4-Gently press the beads to compact them on the nail. 5-Allow the nail to dry and you are done. There is no need to apply a clear top coat for this manicure. Here is another look that I created with this caviar set. First I applied a base color. Then I sprinkled some orange beads all over my nail.Below are some final pictures. Loving the nail art. Thank you for your comment. Sure, I'd love us to follow each other. Following you now on GFC, Bloglovin and Facebook. Please follow back. so much easier buying this instead of the branded ones! Nice idea. Will be eagerly waiting for more. I was on the verge of buying this, but I didn't know how to apply it. Until I read this! Thanks. Very cool tutorial, I love this look lately great to know how easy I can achieve it. Thank you!